These are many water sports that involve a boat. Water sports are action-packed, full of fun and thrills, and at other times they can be extreme and dangerous. Enjoying these activities may develop from being a novice participant to being an individual or team-based competitive water sports athlete. Often, participants wear specially designed life jackets for competitive water sports competitions. These are not U.S. Coast Guard approved life jackets for recreational boaters, as these life jackets are specifically designed for competition use. Here are popular competitive water sports that involve a boat. 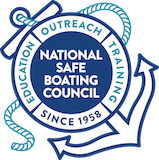 With any boating activity, it is important that the boater always boats responsibly and wears a life jacket. Canoeing is done in a small boat which is pointed at both ends and uses paddles for propulsion. It can be done individually, or with a group of people in rivers, lakes, or even water parks. In sanctioned events life jackets are required to be worn. This water sport can be a lazy, relaxed activity, or a frenzied and highly competitive sport known as fishing tournaments – from bass and big-game fishing to fly fishing and deep-sea fishing. The species and quantity of catch required depend on competition rules and area of fishing (i.e., sea, river, or lake). Tournament fishermen are required by competition rules to wear their life jacket. This water sport, where a small boat called a kayak is used to move across water, can be done in white water rivers, seas, or lakes, for different purposes, such as recreation, expedition, touring, adventure, or competitive purposes. Kayaking through rapids and whitewater is dangerous and needs years of practice to master. It is one of the fastest growing outdoor activities. Joining a club is a good way to learn how to kayak safely. Jet skiing is basically racing over a body of water on a one-man watercraft machine. Fancy stunts and tricks, like flipping and jumping over a ramp, can be done with freestyle jet skiing. Typically 10-20 racers compete over a set course during a competition. It takes years of practice and mentoring to become proficient. A person should not attempt these activities until their skills are practiced and highly developed. Powerboat competitions are very popular, with competition boats reaching very high speeds on open water courses. Non-sanctioned racing, like between friends a boater met at the launch ramp, is highly dangerous and discouraged. Powerboat racing has quite a few safety requirements to keep the boaters and the spectators safe. Rowing is a sport in which athletes compete in boats on rivers, lakes, or the ocean, depending on the type of race. It includes both recreational opportunities, such as Dragon Boats, and competitive events with many colleges training and competing worldwide. Sailing is a very competitive sport. There are sailing races from small sailboats which test your skills on small bodies of water all the way to International competitions like “America’s Cup”. Skurfing is where the participant “skurfs” behind a boat on a surfboard. Another water surface sport, water skiing is basically skiing on water. An individual uses two skis, or a single ski to skim or glide along the surface of water, and is pulled along by a high-speed powerboat with the help of a ski cable or rope. On a competitive basis, show water skiing and slalom skiing are followed, along with standard dual skiing. Wearing a life jacket is a must and having an observer on board other than the operator is critical. Barefoot skiing is just like water skiing, but with no skis! A person balances with their feet on the water as they are towed along with the boat. Barefoot skiers usually learn how to water ski first. Imagine surfing while being towed along by a high-speed boat. That’s wakeboarding in a nutshell. The board is a specifically designed board with fins and weights, to allow the rider to manipulate it with his/her feet. This sport is partially inspired by snowboarding, and is often performed in smaller water bodies like lakes. Also, cable skiing is similar to wake boarding, but uses cables for artificial maneuvering. Some boats are specifically manufactured to create large wakes for the wakeboarder. These activities should avoid being close to shorelines because of the wave action. The radical technique of surfing, combined with sailing know-how and skill, is what windsurfing is all about. The equipment used here is a surfboard with a sail fixed on a movable mast. The windsurfer has to move with the waves to control the board, and at the same time manage the sail according to the winds. Wearing a life jacket is highly recommended. Some of the favorite locations are areas prone to high winds. Technically speaking, yachting is sailing or boating on a vessel called a ‘yacht.’ These vessels or yachts are designed to sail fast, and are hence used widely for racing. There are strict rules that govern yacht racing.